its most southerly position, directly overhead at the Tropic of Capricorn (23 degrees 27 minutes south latitude). 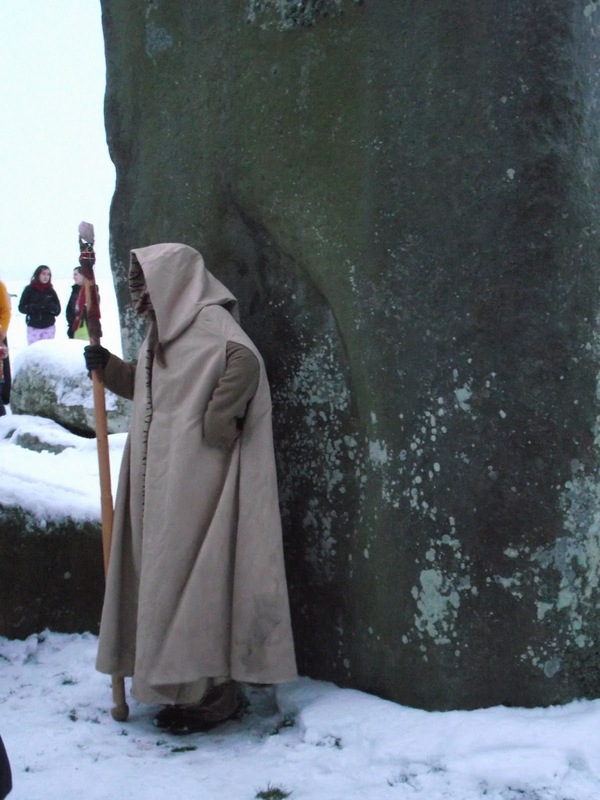 The winter solstice is the shortest day of the year and marks the beginning of winter. It is the exact opposite in the Southern Hemisphere. Summer solstice in the Northern Hemisphere occurs on June 20, 21, or 22, when the sun reaches its most northerly point, directly overhead at the Tropic of Cancer (23 degrees 27 minutes north latitude). The summer solstice is the longest day of the year and marks the beginning of summer. A solstice is different from an equinox, the two times each year when the sun is directly above the Earth's equator and day and night are of equal length. Equinoxes mark the beginning of spring (March) and fall (September). Historically, the solstice has been celebrated by numerous cultures around the world. Thousands of people annually celebrate the summer solstice at Stonehenge in Wiltshire, England. At sunrise at Stonehenge on the longest day of the year, the rising sun appears behind one of the main stones, creating the illusion that the sun is balancing on the stone. The site was closed for 16 years after rioting broke out between police and revelers for several years at solstice gatherings. Stonehenge was re-opened to the public on solstice in 2000.